The Royal Commission’s report is out now and the scandalous behaviour of major banks are also out for all to see. Mind you, in this case, too, it was Jeff Morris, a whistleblower who had exposed the corrupt practice that led to the Royal Commission. “If you saw someone stealing from a store you will say something,” remarked Shorten. So why not bring this out to the open and install a recognized system of dobbing? Sri Lanka has been racked by large scale white collar crime with Ministers reportedly leading the robbing roadshow. Most Ministers of the past have already secured themselves as they had enough time to do that. However, smaller fry in the franchised chain of corruption that prevailed under the former regime are in deeply troubled water. A former Secretary to the President was convicted. The current President’s close aide was caught red-handed openly taking a bribe. Huge cases of drug trafficking are hitting headlines daily. Where is this island of ours heading for with drug deals galore like this? Our younger generations would be ruined and their families distraught. At least cases are now coming to light, when previously little reporting occurred. Then, there could could well be, likewise, corporate crime taking place in the private sector. This is yet an unexamined area. It is clear that what has surfaced is a the tip of a huge iceberg. Corruption has become a quick way for personal material enhancement and this is, perhaps, why more and more persons take to politics. Young adults from school prefer to give up schooling and either take to three-wheeling or to politics. The more skilled in crooked dealing the better one is at Lankan politics today. Those who succeed entering Parliament would be ready to jump sides for profit. Political jumping in Sri Lanka has become a joke. Then, there is the latest demand for Ministerial portfolios. It is a new ‘human right,’ for MPs in Sri Lanka. The kith and kin of these dicy characters called MPs would lose face if portfolios are not won. The old style party solidarity is now at stake with every party capable of haemorrhaging into factions. The SriLankan Airlines Commission is the latest to give us the juicy and sordid scene of coporate crime. That has become a drama with a former Chairman having allegedly played ducks and drakes with public funds while nosediving the airline he was obligated to keep flying in the air profitably. SriLankan Air is now virtually grounded and broke. “SriLankan Airlines had booked hotel rooms in Dubai for 100 individuals, including former Sri Lankan Ambassador to the United States, Jailiya Wickramasuriya and his family, the Presidential Commission of Inquiry (PCoI) on irregularities at SriLankan Airlines, SriLankan Catering and Mihin Lanka was informed, yesterday. State Counsel Chathura Gunatilake, who led evidence, yesterday, presented the PCoI with an e-mail sent by a former CEO Kapila Chadrasena. It showed that the airline had made the above mentioned booking for those who travelled in a chartered flight in April 2013 from Washington to Mattala via Dubai. Admittedly, many of these cases are still at the stage of charges and allegations although the prima facie case seems strong. For the purpose of this article it is not necessary that convictions should have followed. The point is that if we had a dobbing system in place much of such malpractices could have been deterred. The very prevalence of such an entrenched system will keep bosses on their toes. The corruption that surfaces now excludes similar white collar crime that may very well be taking place in the private sector. Details of the system have got to be worked out. For instance, the quantum of award has to have criteria and process. Investigating bodies could recommend the reward amounts on the basis of the usefulness of the privy information offered. The secrecy of the whistleblowers must be kept tight and protected. Well, the problem with catching central bank breakers is not lack of information. 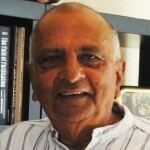 We have had enpugh proof that Ranil and Ravi Karunka ordered the central bank robbery through Mahendran and his son in law. But it the blowers of Ranil’s whistle (without even stopping to take a breath) that have been the problem. They keep polishing Ranil’s whistle and blowing it harder when more information comes. We don’t want too many blowers of that kind. You are right. whole country know who are on top of the list. The problem is NO ACTION. I do not think Singaporeans will ever send Arjun Mahendran to Sri Lanka. They are protecting that corrupt guy for their own benefit. Yes, as we would never send MAHINDA Rajapakshe to Hague, albeit unfair when thinking about the service justice to the people. Pre and post war scenario, Rajapakshe debiberately committed high crimes. Yes or no ? We sinhalaya would not want to see it yet through your own eyes. But not everyone, I hate the bugger for ever the manner he abuses the easy target of this country. Hatharabirikatharina, you are lowering the English standard at CT.
Undersstand the meaning of the conjunction albeit and how to use it before you try to use it again, you drying old woman. I apologize for my incomplete comments if they caused you inconvenience . I was just about to dot I s and cross Ts but accidently clicked the button then seen as sent out..That happens to everyone as I know. albeit means (although it is ) if you may learn it from me, today s kids have no respect to anyone. The uncultured have taken the ground of the society thanks to Rajapakshe rascals. Anyways, let me correct it now. So, It should have been read as “albeit unfair”. .. I am 78 now ( I am half deaf and blind too). Sorry, I have not put a comma at the end of Unfair. So, please learn to respect elderly women: Your conception should not be in a test tube, If I may ask you. The source of your problem must be limited to when you impersonate Katharina. This could be because you are sitting on your shriveling tackle and the two floaters when you write as Katharina. I have heard that all old Ranil suckers have these problems. why not you learn to respect old ladies ? If not today when ? Uncouth langauge has become familiar to many, but you guys are not fallen from the sky right ? Man, we are all well aware of the fact. it was a system error. over 99% of BOND SCAM losses occured, let occured under RAJATHUMA and his Wanidbatta bondige putha Ajith Kabral. It was amounted to 990 billions of lanken rps. Media made the opinion in favour of Rajapkashes. Today we talk lot more about 1% fully forgetting 99% huge losses . No body else, President himself reiterated this. Also JVPrs started attacking Rajakshes for BOND scam since yestreday.
. I spoke to a bunch of experts, this was inevitable. But as is the case with Ms Charles dissmissal, local media telecasted and made the opinion in favour of some vicious groups. As all is right what President and experts share, RW and AH are the victims (at the time, FAKE PM was appointed, I was glass clear, that the FAKE govt would fall down within few weeks. That was the case by mid of Dec 2018. Likewise, I have no doubt, in a few months, we will know about the truths of this COMPLEX issue. THOSE MEN ALWAYS BRIBED THE POLITICIANS: EVEN MORE DURING THE HIGH DAYS OF BP Rajakshe. BUT all these came out during Ggovernance period. However the sums that went lost during RAJATHUMA days (990billions) are not even traceble, but 10 billions to have been lost during GOOD governance govt is frozen…. that means it is not a loss at all. But RAJAPKASHE BIASED MAIN stream media made the opinion in favour of them. But how many more months, would the be able to FOOL the very same people. i thoroughly believe, I further make every efforts to come back to you and CT readers – that it was an invetable process error, and as is the war victory fully grabed by Rajaakshe family, here too, they deliberately made the GENERAL opinion of BOND SCAM story, undermining RAJAKSHE high crimes. But I dont think Rajaapkshe will eternally be able to mislead the VERY same nation this way. Besides, today, any hearsays and just speculations picked up from SOCIAL media become the main source of NEWS – head line capturing news for MAIN DOMAIN media. This is very wrong to the eyes of the experts. Just imagine, the removal of Ms Charles is a good example, how they the local media painted it in favour o fthem. In the end, Ms Charles herself endorses that the mafia governing in CUSTOM can only be controlled through a new mechanism. I listened the interview held by Minister and Ms Charles last night. … there, Mangala s arguments came credible. Lanken media is against UNP right at the moment, since they are interconnected with mafia mudalalis who are close to Rajaakshes kith and kin. Rajathuma lies through his teeth today infront of MEDIA,he is fallen fully to the levels of STREET BOY wimal buruwans… but MAIN STREAM media does not react adequately for his reactions… why ? He struggles to keep his position, but entire world know that HIS OPPOSITION leader position is too a FAKE. Today parliament has no place for POHOTTUWA MPs. They left the party on 10Nov 2018. But Duminda Dissanayaka acknowledged it as to why they did so. He is a good guy in SLFP…. there are few of his calibre men in that group yet today. Who is going to blow the whistle on the whistle blowers when they succumb to pressure or temptation? Ranil doesn’t have to steal because he is born wealthy ………. but dishonest in most other ways. If not he would have been the ideal person to implement some form of rule-based administration and a society. But the jelly-spined slimy coward never takes a stand on anything. Now he is thinking lying low and keeping out of the public-view/limelight will somehow usher him into the presidency by default. The irony is, if the guy takes a firm stand on anything – even on an issue on a kindergarten – and eschew his go to solution “committees” …….. he will win the presidency hands down. 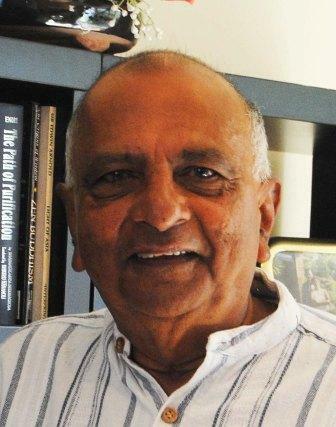 The half-baked catch-22 is, if he takes a firm stand he would win the presidency hands down ……… but if he takes a firm stand he knows he has to implement them when he assumes power; so he doesn’t take a firm stand …… his only firm stand is on the grip of the leadership of the UNP. You know he is sure to lose the next election! All are guilty in the Bond scam except Ranil ! The UNP has been reduced to a a few old boys of a Colombo school. So the PM ( ranil) who brought in mahendran, who brought the central bank under the PM, who controlled the Bank of ceylon via ronald perera, who conducted the cover up,who extended mahendran’s tenure as governor, who ran the foot note gang, -is innocent . Of god,who will protect this country ? Corruption has reached epidemic proportions in Sri Lanka. In a recent survey published about corruption, Sri Lanka ranked 95 out of 176 counties with a poor score of 36 when compared to 2015 when the country was ranked at 83 among 168 countries. Corruption spread like wildfire during the rule of Mahinda Rajapaksa. He filled key posts either with his close relations or his lackeys. Jaliya Wickramasuriya ordered a chartered flight from Washington to Mattala that cost the government Rs. 9.1 million. Gotabaya Rajapaksa ordered a Sri Lankan Airways plane diverted to Switzerland to bring back his dog! Now that man is touted as the next presidential candidate on behalf of the Rajapaksa family. It is a pity that Sri Lanka with a 22.2 m population cannot find someone more suitable for the post of president outside the corrupt Mahinda Rajapaksa clan. The same goes for the Opposition Leader’s post. Though he is not the leader of the UPFA/SLFP still he was appointed Leader of the Opposition thanks to Sirisena. A sum of Rs 47 m is owed by Rajapaksa’s family to the Sri Lanka Land Reclamation and Development Corporation (SLRDC) for the construction of the ‘DA Rajapaksa Memorial and Museum’ at Medamulana, This construction took place during the time when Gotabaya was the powerful Defence Secretary as well as the Secretary of the Ministry of Urban Development. The total cost was Rs.90 m, but Rs.47 m is still owed to SLRDC. What defies logic is Rajapaksa family is walking the streets with head high and bragging about their achievements/accomplishments. A Memorial and Museum at ratepayers’ expense. Sadly, Sinhalese politicians of all hues are corrupt up to the neck. Once elected/appointed as MPs they want fat Ministerial portfolios to make big money. Otherwise, like Lakshman Kiriella, cannot “face the electorate”. The appointment of non-cabinet Ministers on par with cabinet Ministers except they cannot attend cabinet meetings is a subterfuge and a daylight robbery. Worse is the attempt to form a “National Government” with a party that has only one MP. People who thought Ranil Wickremesinghe is a strong ruler have been proved wrong. There appears to be little difference between the idiotic President Sirisena and Prime Minister Wickremesinghe. The only difference is President Sirisena exhibits his ignorance and walks naked to everyone to see, but not so Prime Minister Ranil. President Sirisena says the constitutional process has kept the government preoccupied at the cost of economic development. He little understands there cannot be economic development without a constitution acceptable to all sections of the people. The recent Independence celebration demonstrated the fact that there is a deep schism between North and South. As a result, President Sirisena had hurriedly cancel his visit to the North. This is because he cannot meet the people. His promises regarding army occupied private lands, release of political prisoners, resettlement of refugees have not been kept. Many deadlines have come and gone. The last one on December 31, 2018. He has betrayed the Tamils who voted for him with both hands, that is, 79% in the Jaffna electoral district. His recent utterances have given enough ammunition to extremist elements like the maverick former Chief Minister Wigneswaran to fire at the TNA that is seen as shielding the government. The TNA leaders too are fast losing their patience and hell will break loose the day it withdraws its support to the Sinhala government. “Let every citizen spy on the other. One cannot save Lanka otherwise”! That will be the Beginning of the End of the Sinhala Modayas! The Tamils will then Take Over! Kelamkeema and even minimareema have become top of their routine, so called buddhists dominated CURRENT day srilanka. No doubt, if they were subjected to close checks, that MAKANDURE madush and any artists hobnobbying with him would be found as wearing PIRITHNOOLE also around their penises. Hypocracy culture was cemented since Rajapakshe did them all broad day light and just gunned down anyone stood against them. So, the masses became so called beloved folks of them. Thugs and uncouth langauge stood out condeming any cultured and civilized folks. The scenes are just comparable the unethical behavours of uncivilized men today in a jam packed bus against the women and the youth. But very same communters search for thoughts not reacting on the spot. If reacted, they would be caught by rascals treatements( physical assualts, abductions,go missing as Ekanligoda, and gunning down). . This is the cruel mirror image of the society. Like North koreans stood still, when their Fuhrer turned up, lanken people just behave, passively as they can.Much more to come to light next days, once Rajakahse thugs are caught by their horns. I SEE the light at the end of the tunnel, towardds their dozens of investigations and their verdicts. I totally agree with your view point on theory of curuption and this is mine as well. In the absence of credible justice system in the country as it appears our judges too are mostly curupt by themselves I can not think other than People resorting to extream measures to keep curuption in check. This may entail forming anti curuption gurilla movement so that unleashing terror against the corrupt elements could stier the country in the right direction which is badly needed in these societies at a time capatist govt system itself is loosing its credibility and those who has the power are unleashing their own terror against citizenary of the country with impunity. People and their resources being plundered by these powerful insignificant minority and with their curupt money they are buying off people thus forming an extractive political and economic govt system for their own benefit. Enough is enough and action is needed on the part of those who are the overwhelming majority in the country! Here is a misunderstanding of whistle blowing. My experience is, it works well against Middle Management Level. There the junior level informs about middle level to senior and bring in actions. When the witness is, safe it works. So companies encourage to report without ID. Australia, Canada and UK are countries at the height of the Law and Order. There witness protection is natural. That kind of systems will work. In Lankawe whistle blowing would not be worth even for the cost of the blowing whistle. Lankawe is country where president get involved in murdering the murderer to hide the presidents’ participation in the murder. Then the parliamentarians extend the presidents’ term limit and people vote for/her. How the whistle supposed to survive in that circumstances. What part of Lasantha murder is hidden other than Ranil is blocking the investigation? Didn’t Ranil said in the parliament about the people who murder Kathirgamar? How many times COPE and other commission came out with the stories of the loss making SOEs. Who needs additional whistle blowing for these? It is only in Lankawe that Presidents blow the whistle of their corruption and his MPs corruption. If MPs can earn 500M when accepting a secret calls and changing party, how the government is going to come out with a payment system and keep the MPs in their parties? Isn’t our communist Pakkaya argued in the parliament that Donkey Trading is not illegal? Though it was the present blow whistle, the second hand witness Palitha Ranga lost his minister post! Why did this happen? If one kill, murders, humiliate Tamils he/she is a war hero. It is the entire nation’s duty, even by coup, to protect him/her from all corruption, murders, rapes……. This, all Sinhala Intellectuals know well. But many are too hypocrite to accept it and act on it. Until this is solved by letting Tamils go alone, no system will work in Lankawe. Uncle, is this how it is done in your nation Australia? You write so well from Australia. Please do not tell the butterfly lying UNP government to extradite Kudu kaarayas currently held in Dubai. Let them mete out justice. They will give short shrift. President is right to extend DIG Latif’s term. Let him unleash the dogs of war on the drug lords and wipe them out. Yes let them face justice in Dubai, to get them down is like Saudis getting those criminals and murderers from Turkey, to set them free.